Last week, I did meet up with a smart young executive. Let’s call him Rahul for reference. Now Rahul was someone who had almost close to 2 decades of work experience, dynamic and a go getter. Rahul’s challenge was something which most of you can relate to. He had too many things coming at him and the more he was trying to navigate his way, more were the things that were added in no time. One of the most pressing concerns for him over the last 6 months was managing his time. Since he did head a Business unit of a large Product based company, more people demanded his time and as expected, he hardly had any time for himself, could not switch off from work and eventually he did realize that it was affecting his personal and emotional life. This article “The high price of workplace stress” is a good additional read on this subject. Rahul, being in his early forties was fine to step up to the challenge but he also did realize that he could not continue to work like this, because it was a road with no end in sight. Surprisingly, moving up the ladder to the next position in the next couple of quarters did give him the shivers, because he was certain that he would have to play the game differently. He knew that there was a smarter way of managing things coming at the pace it was now but did not have a clue how and where to begin. For me, this was not something new. I come across more and more High Performing executives falling into the same trap and suddenly realizing that there is no time to work on their biggest goals both on the professional and personal lives. Listening to Rahul did not surprise me a little bit. The reason was obvious. I do come across several High performing executives on a regular basis who do resonate with the same challenge. My response to Rahul was that he cannot do much to work through the challenge completely. 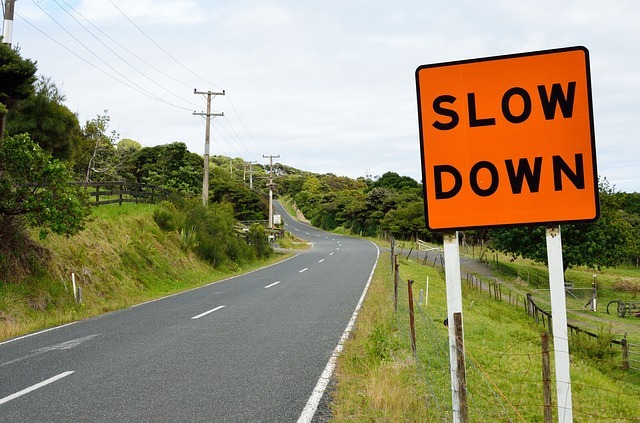 When someone is working through the day with so much of speed they are bound to make mistakes and there is no other way than to step back and slow things down. I did tell Rahul that for him to be more productive and start thinking on his bigger goals, he must give some time for himself to do some self-reflection and “Strategic time out”. This is what I have personally been doing over the last two decades. You can refer this video The value of self – reflection by James Schmidt is worth a watch. It has worked for me like a charm and I do not see any reason as to why it should not work for each one of you reading this article. I am sure you would like to know as to what is a strategic timeout. It’s nothing but sitting alone for 15 -20 minutes in a quiet place with a pen and paper and not with your mobile or computer and just focus on the area of improvement and reflect on your thoughts and pen them down. This one activity over the years has helped me personally and also each one of my Top-Notch C level executives in getting some brilliant ideas. The reason why I personally use a pen and a book to put in my thoughts is obvious. Brain scans show that handwriting engages more sections of the brain than typing and as per multiple research it’s easier to remember something once you’ve written it down on paper. This article by William Klemm “Why writing by hand could make you smarter” points to some interesting insights. Now with science backing this powerful habit, I always wonder why some of the smartest people out there do not do such a simple activity. The reasons according to me are quite a few but would like to list out a top few, so you can see if you fall in the category and do the necessary course correction. 1.Some executives have hardly any time and making time for this is something they think is not worth the effort. 2. Many executives I have worked with over the last decade prefer to rapidly move on to the next challenge or project. Self-reflection is never a habit and for some, not even in their list of things. Also, most do not have the experience to do this and sadly none have practiced this in real life. 3.Just like a new habit, inculcating Strategic time out does take time. This can only happen by being committed to the bigger cause by being consistent. It’s been a week since I did meet up with Rahul and I reached out to him today and this is what he felt over the last one week after implementing the strategic timeout which I did suggest along with few other empowering habits. 1.Rahul began to take strategic timeout twice a day for ten minutes at a time. So, he felt it was not much of time he is investing in this area. 2.By slowing things down in the last one-week, Rahul felt it had lead him to think through the challenge better. 3.He has become better at taking decisions (even though its early days) He did strongly feel that he is in a better position now to decide what to focus on more and what not to. 4.Rahul was also happy that he felt more satisfied now by self-reflection and he also felt more in charge now than ever before. 5.He did also mention that he was becoming more creative in solving seemingly inscrutable problems. 6.He was amazed that he could see so much of behavioral shifts in one week and was looking forward to bigger shifts in the weeks to come. Now, if you also see some massive gains in your work life like Rahul has seen in the last one week I would like to invite you to go slow from this moment. Take one or two strategic timeouts and reflect on your thoughts with a pen and paper. One thing I can guarantee is that you will surprise yourself and like me, will swear by this one activity to help you perform at an extraordinary level.